Huffington Post: Does Potential drive the Cosmic Order? 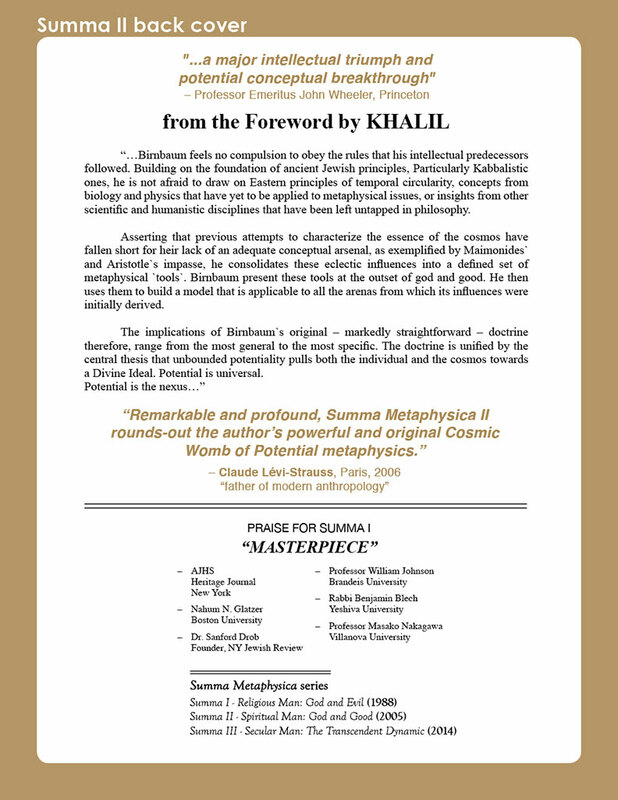 Does one sui generis dynamic – Infinite Quest for Potential∞ – drive the Cosmic Order? Can one unique concept change the way we think about the universe? What are the possibilities that the Common Denominator 'driver' of the cosmos was overlooked by all those formidable big brains in the pantheons of philosophy, cosmology, metaphysics and physics? The odds are remote, right? 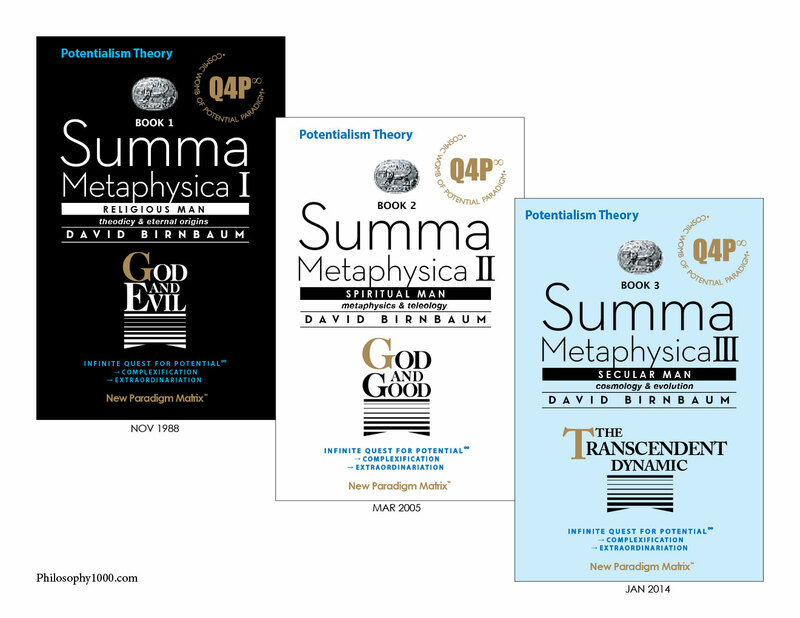 David Birnbaum's (quite read-able) 3-volume treatise Summa Metaphysica proposes that one sui generis dynamic – Infinite Divine Quest for Potential∞ – drives the Cosmic Order. See www.summametaphysica.com/the-q4p/. 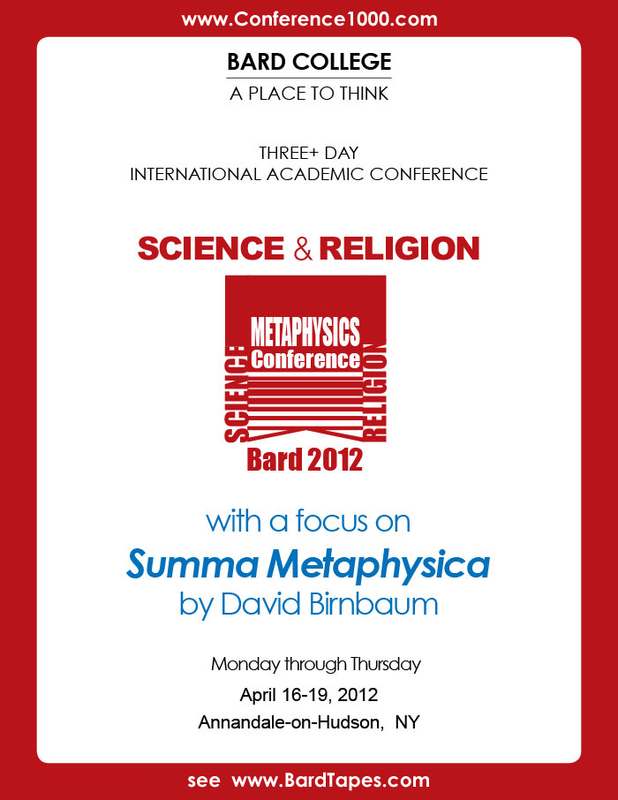 The Summa Metaphysica series was the prime focus of a landmark 3 1/2 day international academic conference at Bard College (Upstate NY, April 2012). 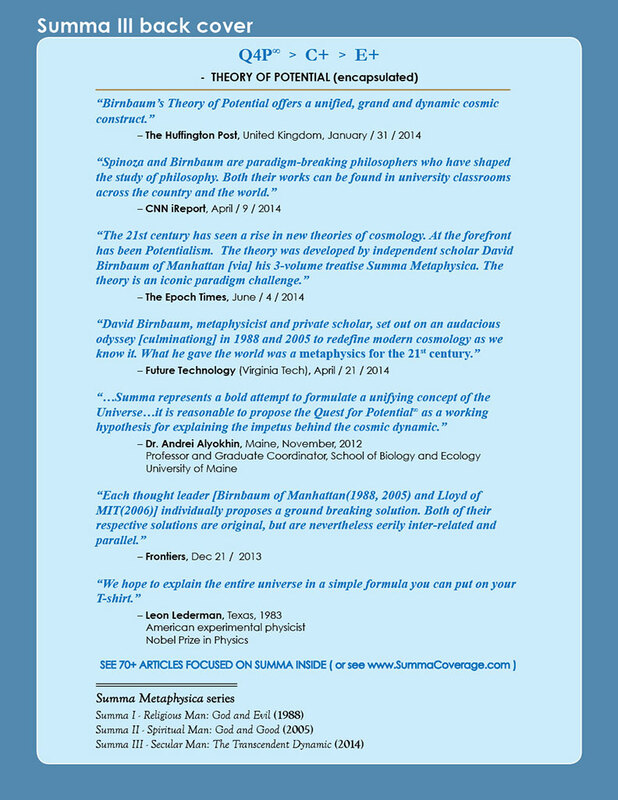 The conference introduced onto the world stage Birnbaum's directional and natural Potentialism dynamic (Q4P∞). See BardConference.com. Many believe the conference marked the beginning-of-the-end of 20th century Randomness Theory. See ParadigmChallenge.com. A January 2014 feature article by David Gelernter, professor of computer science at Yale, “The Closing of the Scientific Mind” in Commentary Magazine, puts the scientific and academic community in their place on several inter-related fronts. Gelernter chastises the scientific community for what he terms ‘roboticism, that is, for belittling the role of the aesthetic, the humanistic, and the spiritual. He also criticizes the scientific community at large for being too ‘mechanistic,’ for viewing life entities as if they were pseudo-computers with assorted binary switches. Wrapping all these inter-related issues together, Gelernter cites the case of NYU Professor of Philosophy Thomas Nagel. In 2012 Oxford University Press published Nagel’s work Mind and Cosmos. The thesis of the work is relatively simple: Contemporary Evolutionary Biology theory (aka ‘the entrenched orthodoxy’) does not ‘handle’ the emergence of consciousness. Nagel, like Gelernter, wants our theory of the cosmic order and its sub-theory of evolution to be richer and to account for human spirit, consciousness and subjectivity. Thus, Nagel feels that there must be a cosmic dynamic driving the universe and evolution forward in a direction which leads to consciousness. He feels that the prevailing orthodoxy, focused only on genetic survival as the sole dynamic in a universe driven only by randomness, is ‘missing the boat’ on what is truly happening here. In technical terms Nagel is proposing that there is a ‘teleology’ (a purpose ‘driver’ of the universe) embedded in the cosmic order. However, in questioning the entrenched orthodoxy’s failure to explain the emergence of consciousness, Nagel is but a ‘schoolboy’ compared to conceptual theorist and metaphysics specialist David Birnbaum. Nagel suggested in 2012 that there must be a core cosmic ‘drive,’ a teleology. But a major teleology (adroitly handling consciousness in-the-mix) was already published (1988, 2005) by a fellow New Yorker. 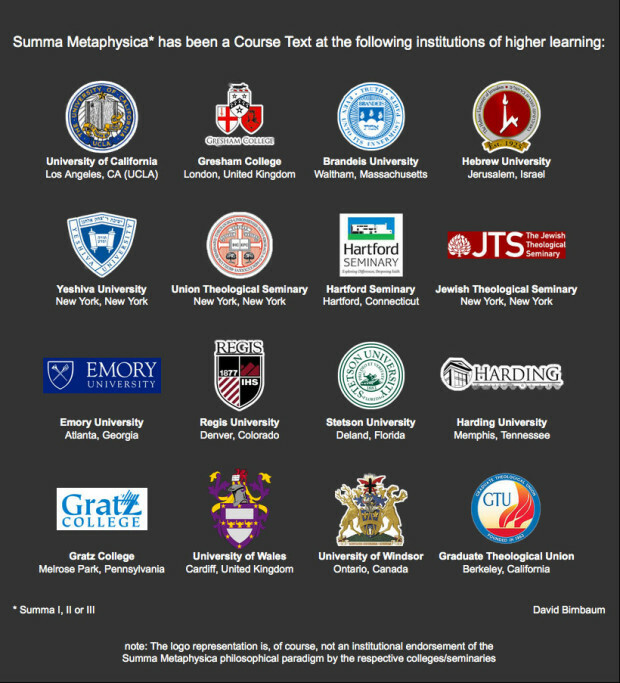 Nagel’s midtown Manhattan neighbor, 40 blocks north of Nagel at NYU, is David Birnbaum, author of the iconic 2-part philosophical treatise Summa Metaphysica. Birnbaum’s work proposes an overarching cosmic dynamic: Infinite Potential. In November 2013 British journalist Oliver Burkeman, echoed French anthropologist Claude Levi-Strauss (2006) on Birnbaum’s Potentialism, and called Birnbaum’s theory ‘remarkable and profound’; Burkeman felt that both leaders – Birnbaum and Nagel – were nicely in-sync. Infinite Potential is the centerpiece theme of Birnbaum’s proposed original overarching theory of the cosmic order, the Theory of Potential. Birnbaum’s universe is organic, overflowing with potential. Indeed Potential defines it. 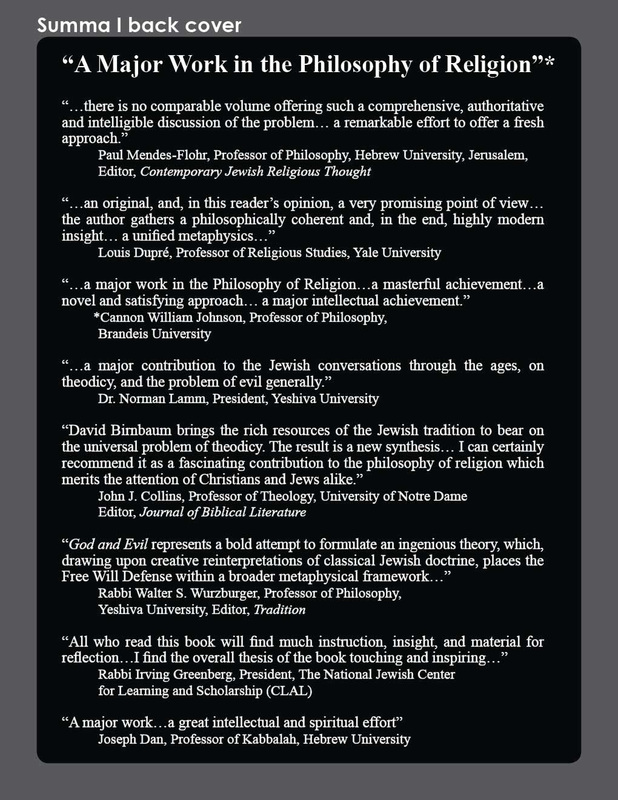 If Nagel’s work gives the ‘entrenched orthodoxy’ academics heartburn, then Birnbaum work gives them a massive heart attack. 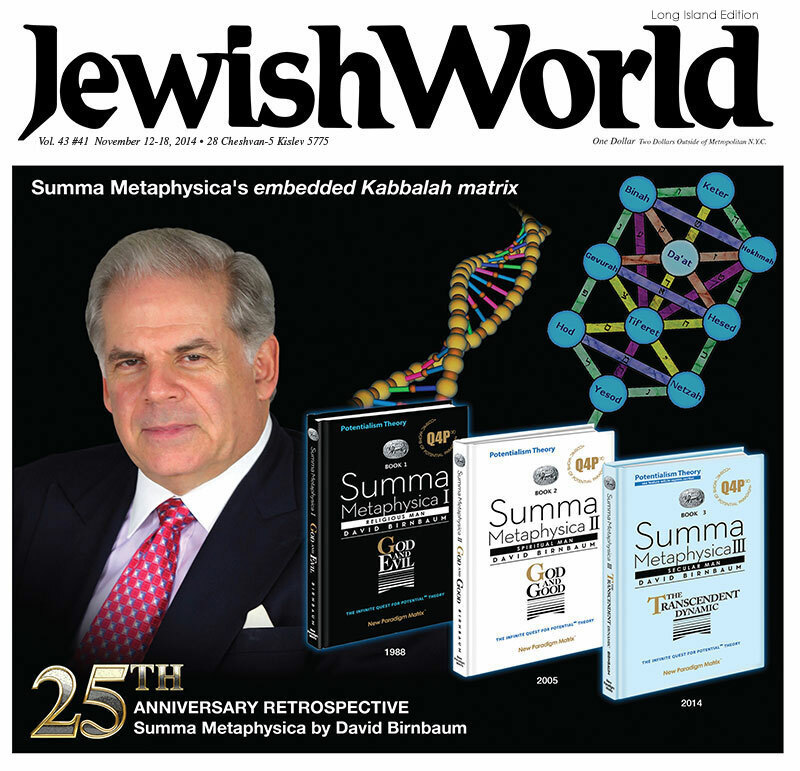 The Birnbaum treatise was published in two parts: Summa Metaphysica I: God & Evil (by Ktav Publishing in1988) and Summa Metaphysica II: God and Good (by New Paradigm Matrix in 2005). Birnbaum’s Summa, which has over fifty thousand sets in circulation, is actually in full philosophical alignment with Nagel’s later Mind & Cosmos book (2012) and with Gelernter’s above-noted major Commentary article (2014). All their works, so to speak, ‘talk to each other’. Birnbaum’s Theory of Potential offers a unified, grand and dynamic cosmic construct. Birnbaum is quite aware, as we all are, that there is no shortage of seemingly ‘open space’ in the cosmos. However he suggests not missing the core thrust and embedded potentiality of the cosmic order. Birnbaum proposes that his signature theme, Infinite Potential, is the eternal and ongoing dynamic of the quite rich cosmic order. What has unfolded over the ages, according to Birnbaum, is far from randomness acting out in a barren universe. “You and I, according to this theory, are individual cosmic potentials, the end-result of many billions of years of ongoing iteration and optimization. In turn, individually, we each set the stage for more potential” says Birnbaum. There is thus a direct sequence of contemporary protagonists of a so to speak ‘organic’ universe: Birnbaum (1988, 2005) > Nagel (2012) > Gelernter (2014). Nagel in his 2012 work articulated that we should seek to discern the cosmic drive which brought us to life, consciousness, reason, knowledge, language and altruism. It turns out that all of the items on both the Nagel and Gelernter checklists are fully encompassed by Birnbaum’s Theory of Potential. According to Potentialism, the cosmos is organic, not barren. It inexorably quests after its manifold and quite often extraordinary potentials. It seeks the full flowering of its own possibilities. This unstoppable quest for extreme potential drives our quite extraordinary and quite rich universe. e, consciousness, reason, knowledge, language and altruism. It turns out that all of the items on both the Nagel and Gelernter checklists are fully encompassed by Birnbaum’s Theory of Potential. According to Potentialism, the cosmos is organic, not barren. It inexorably quests after its manifold and quite often extraordinary potentials. It seeks the full flowering of its own possibilities. This unstoppable quest for extreme potential drives our quite extraordinary and quite rich universe. This is a follow-thru to updated coverage of my Potentialism Theory. I hope you find the material of interest. * original letter copy is posted on the www.Philosophy1000.com site under icon Review Letters. THE SOUTH AFRICAN: Has Outsider David Birnbaum Trumped the Entire Academic Establishment?